Home / CAMERAS REVIEWS / Selfie Sticks: Tourist Convenience or Purely Narcissi-Stick? 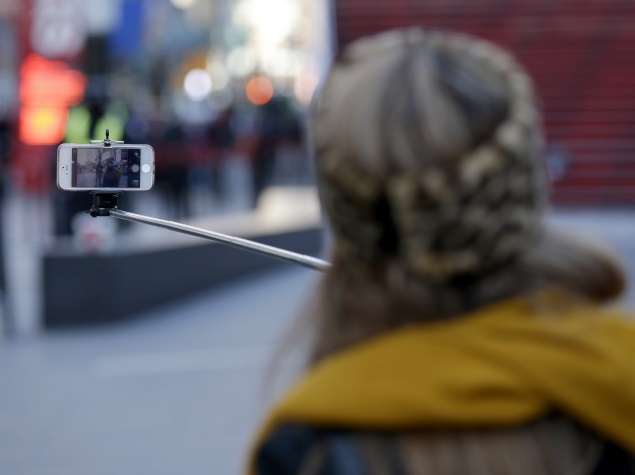 Selfie Sticks: Tourist Convenience or Purely Narcissi-Stick? Sarah Kinling of Baltimore said she was approached "17 times" by vendors selling selfie sticks at the Colosseum in Rome. "They're the new fanny pack - the quickest way to spot a tourist," she said. "The more I saw them in use, the more I saw how much focus people were putting on selfies, and not turning around to see what they were there to see." When Kinling wanted a photo of herself with her sister and sister-in-law, she asked strangers to take the shot. "Even when the other person didn't speak English, you hold your camera up and make the motion and they understand," she said. But some travelers say it's better to stage your own vacation photos. Andrea Garcia asked a passer-by to take her photo in Egypt and later realized he'd zoomed in on her face, cutting out the pyramids behind her. "I couldn't really be mad at him - he wasn't my photographer, I didn't pay him," she said. The experience made her appreciate the selfie sticks she sees tourists using at 1 World Trade near her office in Lower Manhattan. "Take control of your image!" she says. 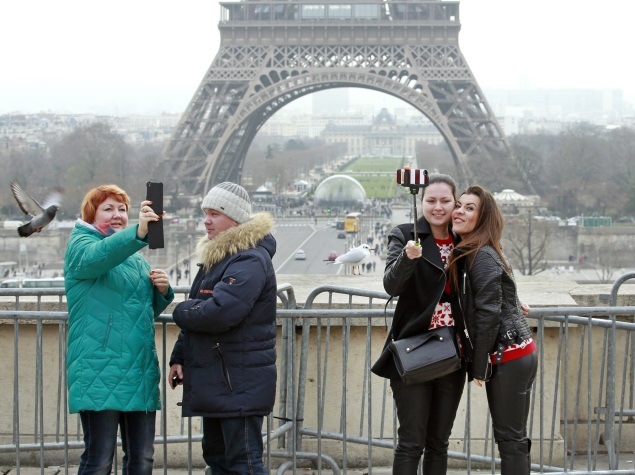 Selfie sticks are just starting to show up at attractions in the U.S., but they're ubiquitous in many destinations overseas, from Dubai's skyscraper, the Burj Khalifa, to the Eiffel Tower in Paris. A soccer stadium in London, White Hart Lane, has even banned them because they obstruct other fans' views. The Four Seasons Hotel in Houston started making them available to guests last week, "similar to the way many hotels provide umbrellas," said hotel spokeswoman Laura Pettitt. Jasmine Brett Stringer of Minneapolis writes a lifestyles blog called "Carpe Diem with Jasmine" and uses selfie sticks to record her videos. "A friend brought one back from Dubai and I said, 'I've got to get one,'" she said. Now she doesn't have to rely on others to help shoot her work. The sticks are also an improvement over hand-held selfies because they let you shoot "at better angles, avoid the awkward arm reach and the dreadful half-face shot." "I don't love intruding on other people's experience, asking them to take my picture - they're there to enjoy their time, too," she said. "Sometimes I feel silly - one more tourist taking a selfie in front of the Colosseum - but I'm more comfortable doing it myself than asking someone else."